What are the weirdest/coolest looking cartridges in your collection? What are the weirdest or coolest looking cartridges in your collection? 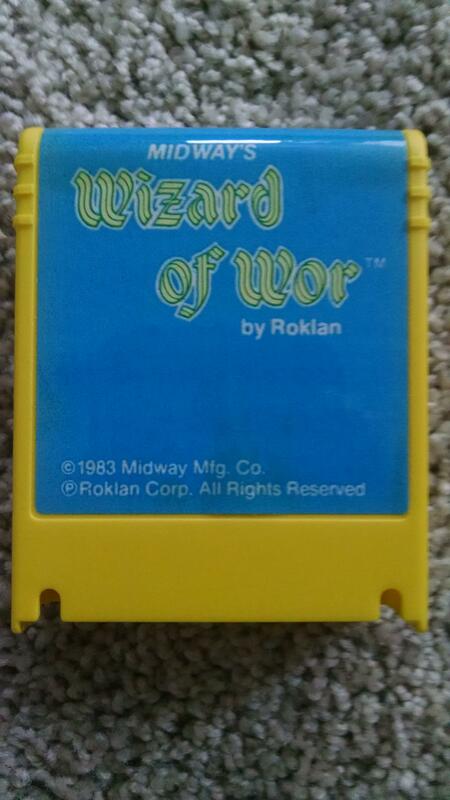 For me personally I love my bright yellow 8 bit Wizard of Wor cart. 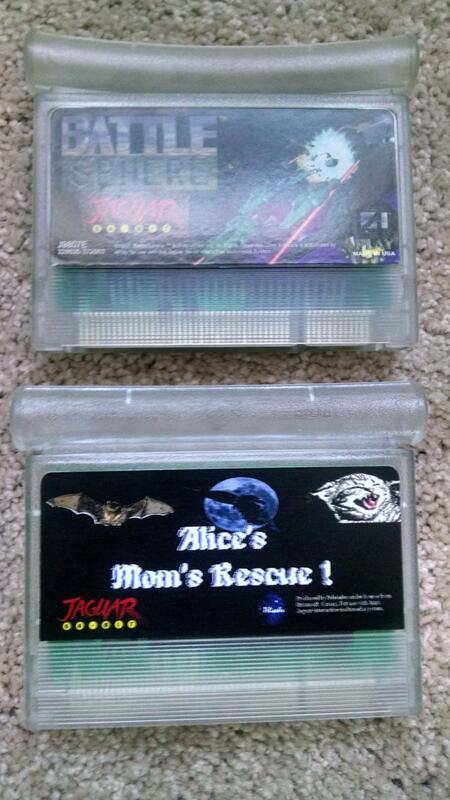 I have always loved the clear Jag carts as well. What are your favorites? What are some carts you just love, regardless whether others might find them to be pretty normal? There are some Nintendo carts I love but they are in storage right now so may have to revisit this at some point.. Looking forward to seeing some fun carts!! Edited by travistouchdown, Fri Jan 22, 2016 8:50 AM. I have TG-16 and PCE versions of the glow-in-the dark blue Atlantean HuCard. I also have a custom PC Genjin 3 game card made for Korean arcades. Edited by BassGuitari, Sat Jan 23, 2016 2:07 PM. Famicom, so many different colors it'd be popular with austic kids. Gold label Lynx cart with Blue Lightning demo. ok not weird but not common either. 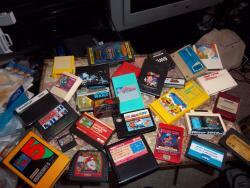 My coolest cart would be the Vs. Super Mario Bros. Reproduction cartridge I got a few years back from retrousb.com. It is the arcade version of the game which is different than the NES version. 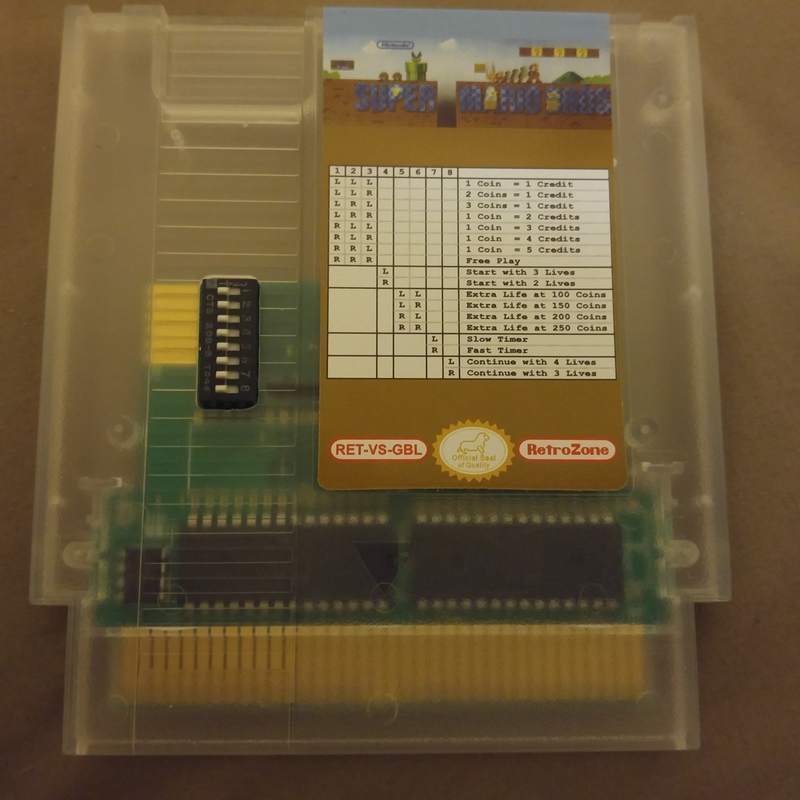 The cart is crystal clear and you can see the rom board. Plus it has the dip switches to set the amount of lives, continues, timer speed, and coins for a 1-Up. Sadly they discontinued the Vs. Reproduction carts. I hope they start doing so again. 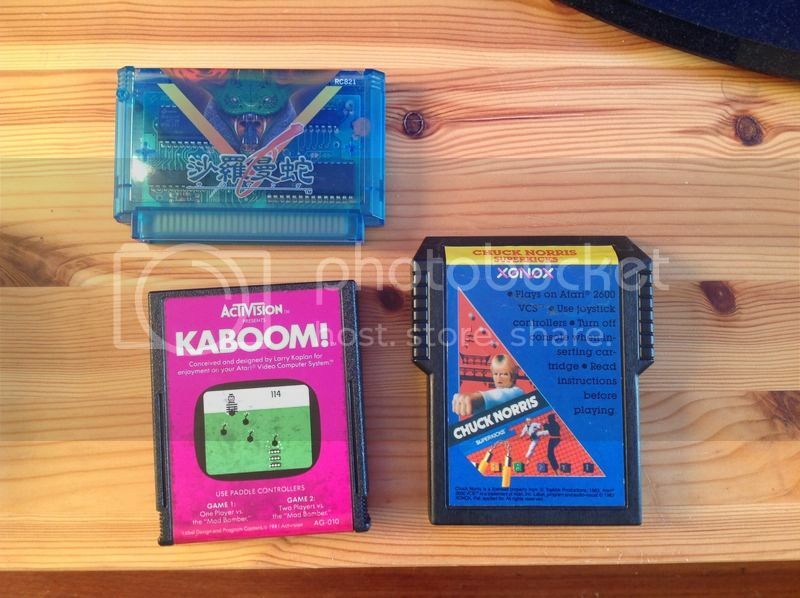 Honestly I gotta go with R-Zone cartridges. The games are utter garbage but the carts themselves are super cool. I love that you can't see the LCDs on the screen when just looking at it with the naked eye. They're the gaming equivalent of currency coins that have the holes in the middle. I Also really enjoy the Sonic & Knuckles cartridge. Anything that has hatches or storage compartments is definitely fun. Right on. VS [shoot the dog] Duck Hunt is my personal fav though. The ramped up difficulty also makes it feel not so much like a kiddie game. Once I got to level 38 on Clay Shooting with the original NES port and game play quickly got boring after that. The VS game alternates Ducks on the odd rounds; Clay pigeons on the even rounds. On Normal and Extreme difficulty setting, rounds 5, 6, 11, and 12 you have three ducks to shoot with only three bullets! 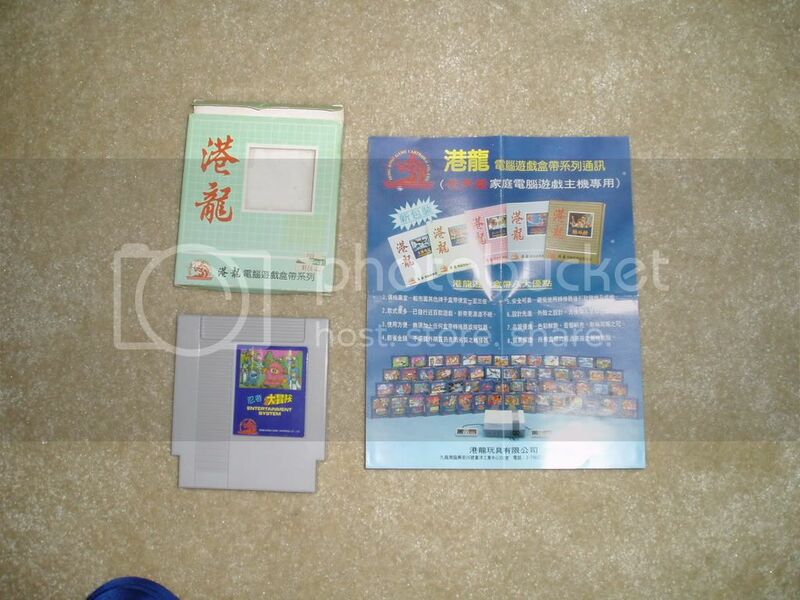 Any NES homebrew / repro game in a translucent shell from RetroUSB or elsewhere. Tengen black releases with their large print labels. Color Dreams / Wisdom Tree blue shells. Gold Zeldas. Kirby Tilt 'n' Tumble translucent pink Game Boy Color cartridge. Men-A-Vision Air Raid. No I don't own one, but they look freakking awesome! The rainbow of Famicom carts if you're into imports. Also if you count the cool packaging, any Famicom Mini series import GBA game with the package within a package, also series 1-20 with two-toned white / burgundy carts. I have the SMB2j game. The Disk releases (21-30) are in solid yellow however, and contain an Easter Egg that lets you watch the FDS demo by holding A+B on startup. Edited by darthkur, Mon Jan 25, 2016 6:29 AM. I love my Famicom games, because they're like multicolored little candies. And among them, the green translucent Salamander cart is probably the coolest. But I've gotta say that my standalone copy of Chuck Norris Superkicks wins. Its giant, weird shape worked in my favor when the store thought it was a 5200 cart by mistake ($4.99!). It won't fit into ANY of the storage containers I own that have slots or predetermined spaces for games -- it's too big. This would be a pain, if it weren't CHUCK NORRIS SUPERKICKS. "Too big for your puny storage setup", that's more like it. I used to have that kirby also. Sold it on ebay. I tracked down a horizontal GBA after my Game Boy Color bit the dust, just so I could continue playing this game. It is technically playable on an SP, but tilt controls are inverted. I always thought this was a nice solution for the few games that allowed four players. 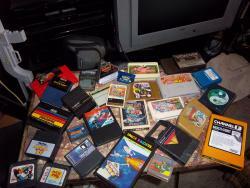 I definitely have to go with the Xonox Double Enders for the Atari 2600. I have the first Micro Machines for Genesis. I always wondered about those extra controller ports on the J-cart sequel. Given how sensitive cart ports are to vibration, plugging in two controllers into the cart might crash the game if it gets tugged. Oh yeah Sonic & Knuckles lock on technology and Aladdin Deck Enhancer. Very few game cart has pass through connector for addition data or game program. Anyone know what would happen if you tried to stack on oh about 20 Sonic & Knuckles together? I mean come on, chrome triangles!! 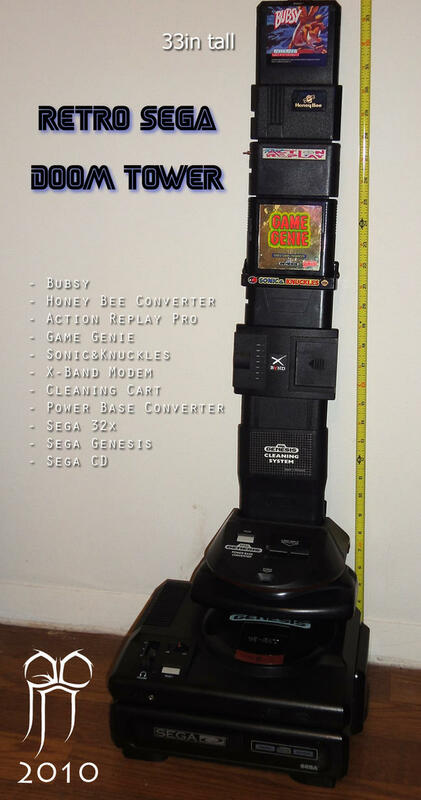 I know this will never work in a million years, but I gotta ask: How do you get back to plugging in Genesis carts into the Power Base converter? SMS has a totally different pinout.